Recently I have my first experience with Windows phone and tablet. All along, I have been a user of iOS and Android phones. So I think to myself, how difficult was it to use a Windows phone or tablet? 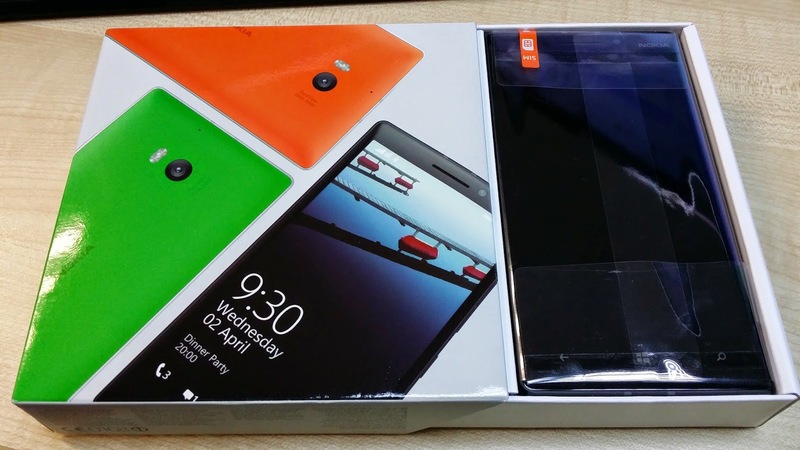 I started with Nokia Lumia 930. The first impression of the phone is it looks bulky. A quick check on the weight of the phone it is in fact 1 gram lighter than the Samsung Note 3 that I am currently using. However, the Nokia phone does feel heavier. A quick comparison on the specifications, it is slightly lower the other popular phones out in the market. For the detailed specifications of the phone, you can click here. 1. 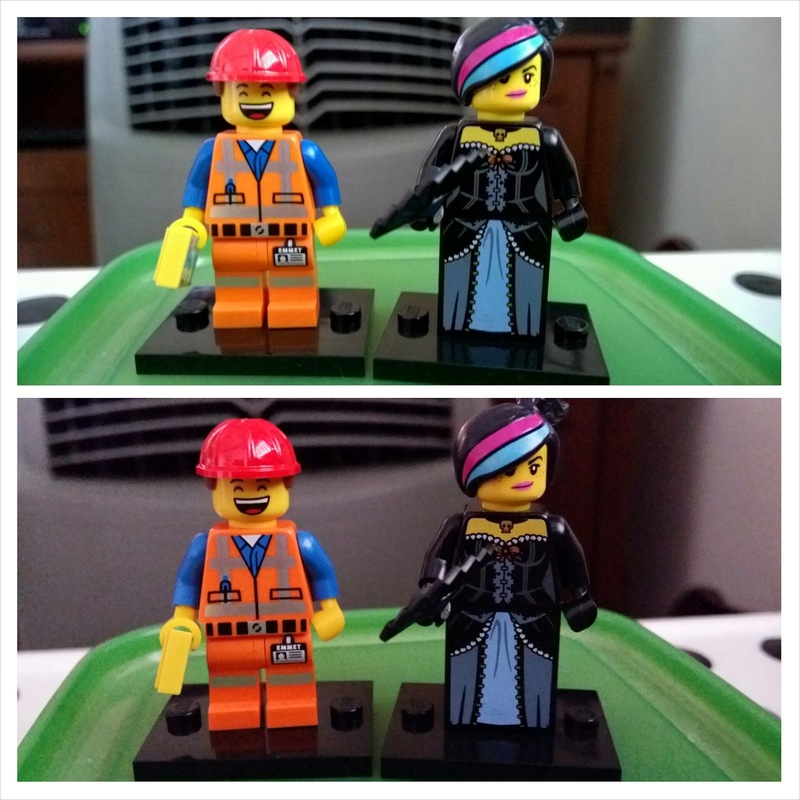 20 MP camera with dual LED flash – The top photo taken with Nokia Lumia 930 and bottom photo was taken with Samsung Note 3 under the same lighting conditions. I do find the photo taken with the Nokia Lumia phone turns out with brighter color and the small details are captured clearer as compared to the other picture. With such a powerful back camera, how come the secondary (Front) camera is only equipped with a 1.2 MP camera? 2. The 5” display – It is not too big (as compared to 5.5”) but not too small (as compared to 4.7”). To me, a 5” display is just right. 3. Wireless Charging – Even though, I did not manage to test this out (the test set did not come with the charge plate), but I find that able to charge without using USB cables is a must. However, the phone did not really match up with the current smartphones in the market as compared to the battery life , processor and not to mention the 1.2 MP front camera. Personally, I think Nokia still have a lot of catch up to do in the smartphone department. I also tested Lenovo ThinkPad 8 during the same week. For tablet, I am currently using is an iPad and I am happy with one with no intention to replace it anytime. Upon holding the tablet in my hand, I am surprised to see how I can hold the tablet comfortably using on hand. Once powered on, the set up was pretty much like the Nokia phone since it is Windows based. 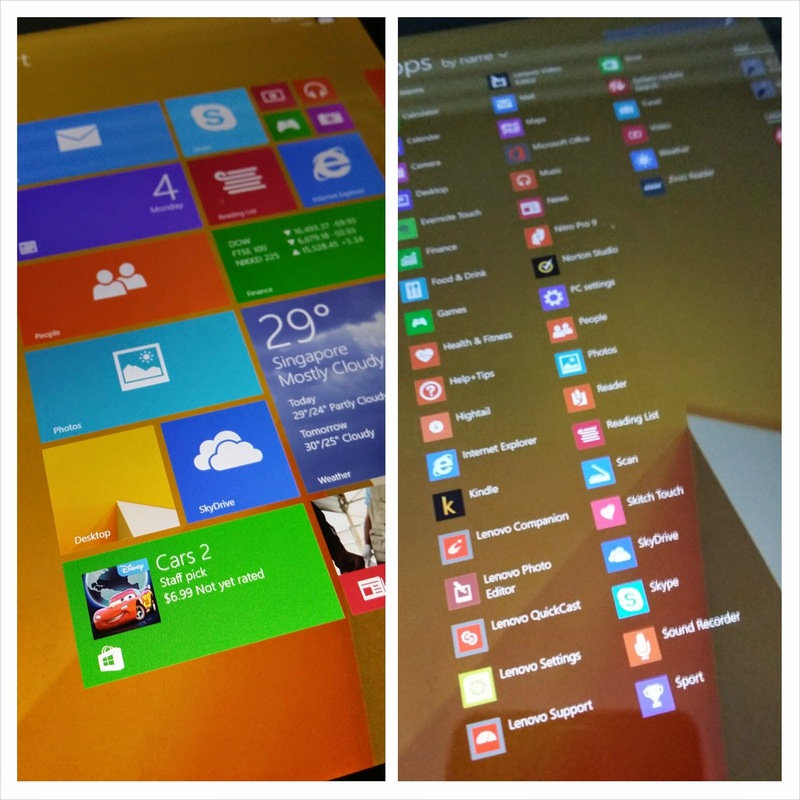 How good the tablet is pretty much depends on Windows 8.1 which I will touch on it later. For full specifications of the tablet, please click here. I upgraded to Windows 8 from Window XP and I was in for a shock! Microsoft have changed almost everything. I felt like a fish out of water when I first used Windows 8 software. Like iOS or Android, I would need to create a Microsoft account and this will sync with all Windows devices that I am using. Then I started exploring around and it does bring me back to the time that I first used a Windows computer. Where is the Start button for a start? How do I go to the Desktop? So many questions to be answered. However, it is like cycling, even you just got on a bicycle after a very long break, you will get to cycle like how you used to in no time. The Windows App store is still as not as popular as iTunes or Play Store but I am able to find all the common and more popular apps in the Windows App Store so not much of an issue for me. In short, I do not like the direction that Windows 8 is going and hope that the next upgrade or "Window 9" (Rumour that they are bringing back the Start Button). So what is your take on Windows based devices and software? For me, I will still be sticking to what I am using now and using Windows 8 for my laptop.